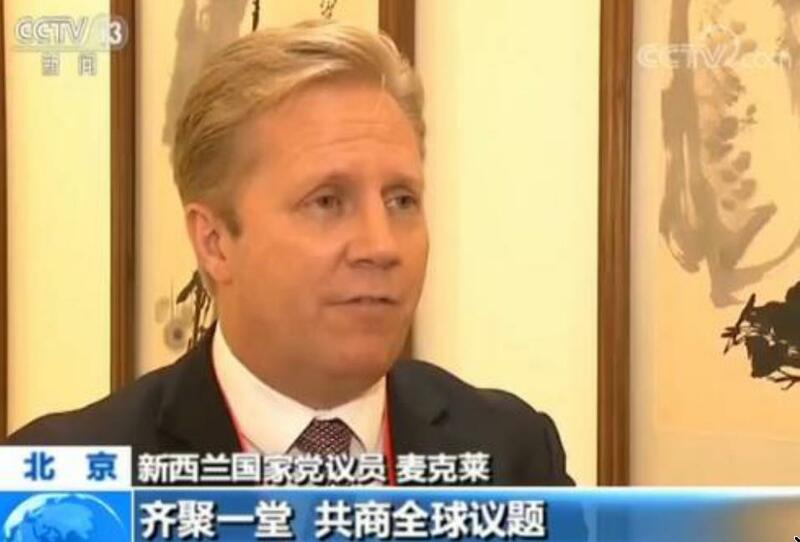 When Todd McClay, foreign affairs spokesperson for New Zealand’s largest parliamentary party, repeated propaganda points on Xi Jinping’s policy of ethnic-based internment in Xinjiang, the CCP’s cultivation of his National Party proved it was worth the trouble. The National Party’s indifference towards torture and apartheid, which Labour, the senior partner in the ruling coalition, has not challenged, must come as a welcome display of solidarity with the totalitarian state’s propaganda machine as it fights mounting global criticism of Xi’s gulag. The incident will not surprise those following New Zealand affairs. Each major party has a United Front-linked MP, ensuring CCP-friendly views are represented regardless of election results. Their numbers may soon increase: not a month ago, a recording emerged in which National’s leader can be heard discussing a further pro-CCP, seat in connection with a large donation from another United Frontling. Nor are New Zealand endorsements of Xiist policy new. The leaders of both major parties sent congratulations to the latest Party Congress. Both were represented at the CCP International Liaison Department’s December “Dialogue” with foreign political parties, a fact that went unreported in New Zealand. The donation scandal has triggered media interest in the CCP’s influence, after a year of largely ignoring the local academic who exposed it. She has, however, consistently attracted attention from other quarters. A police investigation, involving Interpol and a national security unit, has been looking into break-ins in her house and office; it’s now also handling the case of the apparent “sabotage” of her car. Coincidentally, CCP-‘guided’ Chinese-language media has launched an attack on both her and New Zealand-Chinese democracy activists. The new consensus for the future of mankind was then enshrined in the “Beijing Initiative (北京倡议)”. It “applauds” Xi‘s “full and rigorous governance” of the Party, improving its “ability to govern and lead” and generate “historic achievements” and other desirable effects. Attendees called for “win-win cooperation” before expressing their “heartfelt appreciation” for the ILD. The ruling Labour party was represented by its president Nigel Haworth, noted for his comments on Xi’s “wise leadership”, who praised Xi’s speech for state media to see. While Labour’s Xiist tribute was shown to the whole world by exoprop organ CGTN, McClay’s presence seems to have gone unreported in English. At a session titled “Jointly pursuing the Belt and Road Initiative: role of political parties” (共建“一带一露”：政党的参与和贡献), McClay told China Central Television that the ILD “Dialogue” was an “opportunity for leaders of political parties from different countries to discuss global issues”. McClay estimated that “the Belt and Road Initiative proposed by China not only benefits countries” along it, but also “builds a platform for developing a broader dialogue between countries”. Readers of our coverage of the CCP’s drive to impose Xiist language at the UN, notably aided by former New Zealand PM Helen Clark, will recognise such language as similar to that prescribed in propaganda writing on Xi’s pet geopolitical initiative. National’s further endorsement of Xi’s ethnic gulag can thus be seen as the natural next step in the CCP’s discourse engineering work. In a recorded conversation (warning: coarse language), National Party leader Simon Bridges discussed with fellow MP Jami-Lee Ross a NZ$100k donation from local businessman Zhang Yikun 张乙坤. The exchange, secretly recorded by Ross, revealed that a dinner with the donor had included discussion of two Parliament seats, including one for Zhang’s associate Colin Zheng (郑时佳). Bridges: [G]ood work though man, that’s a lot of money. Ross: Colin Zh[e]ng? The younger one, he’s put his name in for Candidates’ College and so I assume he’ll get through and we’ll make some decisions as a Party further down the track as to what we want to do with candidates. National claim the donation hasn’t yet reached them, but, according to Ross, Zhang already paid: he told Bridges that the money was “sitting in a Botany electorate account”. Meanwhile, Zhang’s associate’s ascent to Parliament remains unimpeded, indeed with the Party president’s “encouragement”. Two further members of the CCP-linked group he leads have been made justices of the peace. Zhang Yikun’s United Front credentials are unimpeachable. His CCP links were first reported on a microblogging website by Geoff Wade, me and others, soon followed by a comprehensive Chinese-language article by Chen Weijian 陈维健 (an English translation is now available). These links span several major components of the United Front (UF) system. He was a delegate at the Hainan provincial committee of the Chinese People’s Political Consultative Conference (CPPCC) for two sessions (2007-2018), and served on its Standing Committee during the second one. Until at least 2017 he was a member of the Chinese Association for Promoting Democracy (中国民主促进会), one of the eight ‘democratic parties and groups’ ancillary to the CCP (cf. Groot, p. 103f. et passim), and on its Hainan committee as early as 2002. Zhang and his association have exchanged visits with the Zhigong Party, another para-CCP group with significant New Zealand contacts. Zhang was a vice president of the Hainan Federation of Industry and Commerce and later an executive member of its national version, the All-China Federation of Industry and Commerce (ACFIC). The ACFIC and other industry and commerce associations form an essential part of the UF system. The ACFIC is often effectively treated as a ninth ancillary party in official documents and meetings. Zhang was the founding chairman of the Chaoshan General Association of New Zealand (新西兰潮属总会) and remains the chairman of its board; he also chairs the Teochew International Federation (国际潮团总会). Like many hometown associations worldwide, the ones Zhang leads are under the CCP’s aegis, the result of decades of Qiaowu 侨务 (Overseas Chinese affairs) work aimed at coopting diaspora groups. There can be little doubt about Zhang’s association’s subordination to the CCP, manifested in frequent interactions with Qiaowu and other cadres, notably United Front Work Department deputy head Tan Tianxing 谭天星, as well as in his being chosen to organise a world Teochew convention. Like Yang Jian 杨健, the National MP whose background in PLA intelligence was revealed last year, Zhang is also linked to the Party’s Army. He was in the PLA Navy in Hainan in the ’90s and is also the honorary chairman of the New Zealand PLA Veterans Association. Zhang Yikun signs the PLA flag at the NZ PLA Veterans Association 2017 New Year gala. Source. Colin Zheng, whose induction into Parliament was discussed in one breath with the $100k donation, is an associate of Zhang’s. He has held leadership positions at the Chaoshan Association since its establishment and currently serves as its chairman. He’s Zhang’s business partner, frequently seen with him in public appearances, including at meetings with officials. Last November, it was Zheng who welcomed Xu Yousheng 许又声, then Party secretary of the Overseas Chinese Affairs Office and now vice head of the United Front Work Department, with a speech invoking Engels’ passing remark on Shantou (New York Daily Tribune, 18 Nov 1858) and the ‘New Era’ heralded by the 19th Congress of the CCP. Ross made the recording public after accusing Bridges of attempting to conceal the donor’s identity by splitting the donation into amounts below the reporting threshold. Although the recording fails to yield evidence of that, and it remains unclear if the donation was made at all, media reporting initially focused on the scandal as a political dispute within the National Party. Indeed the saga did not lack media fodder: bullying and harassment allegations against Ross, his admission of extramarital affairs with a fellow MP and a member of Bridges’ staff, his involuntary confinement to a mental health facility for a few days, and indeed Bridges “speaking inappropriately”, to his mother’s dismay. The elephant in the room, viz., the apparent offer of Parliament seats to a UF-linked donor, was slow to attract media attention. This is in line with the previous record of most New Zealand media outlets. Scandalous though it might seem, the Zhang Yikun donation saga simply adds to a defining trait of contemporary New Zealand politics: the widespread, though underreported, influence of the CCP. UF-linked donations, mostly to the National Party, were documented in Anne-Marie Brady’s Magic Weapons paper, published more than a year ago. Although the paper doesn’t discuss Zhang Yikun, it covers earlier UF-linked donations to National, which Brady estimates total at least NZ$1.38m, as well as to Auckland mayor Phil Goff (formerly with Labour), who earned NZ$150k at a fundraising dinner by auctioning a signed copy of Xi Jinping’s book On the Governance of China I (the tome is often given away for free, and its contents are available online). Although some salient aspects of Brady’s paper (and the attacks against her) were covered by the local press, notably Matt Nippert and more recently Harrison Christian, the structural links between United Front entities and New Zealand politics received scant attention. The Zhang Yikun case did, however, lead to increased coverage. After initial reporting narrowly focused on the Ross-Bridges dispute, more substantial coverage and analysis began to emerge. Branko Marcetic provided the first serious treatment (warning: profanity in the title) of Zhang’s UF links in English, including original reporting. Tze Ming Mok’s New Zealand Herald op-ed recounts her experience of “wonks […] extremely concerned” about PRC influence who “can’t say much publicly” lest they imperil “their own Chinese government-linked funding”. Debate is precluded by “a wall of silence” whose “chilling effect is harming Chinese people in New Zealand”, “trapped between knee-jerk racists and Xi Jinping Thought”. The cultivation of politicians by individuals associated with United Front organisations is not restricted to New Zealand. Under Xi Jinping, the work of these groups, once primarily focused on the Chinese diaspora, is now targeting those with “political influence, economic power and social prestige” in foreign societies at large, in an attempt to use community organisations as tools of political influence. The case of Australia made global headlines when donations from the leader of a peak United Front body were linked to support for China’s territorial ambitions in the South China Sea. In the Czech Republic, the case of James Wu (吴瑞珍), covered by Sinopsis and Hlídací pes, shows remarkable parallels with that of Zhang Yikun. Like Zhang, Wu leads several hometown associations. Both have had extensive contacts with the Qiaowu system. 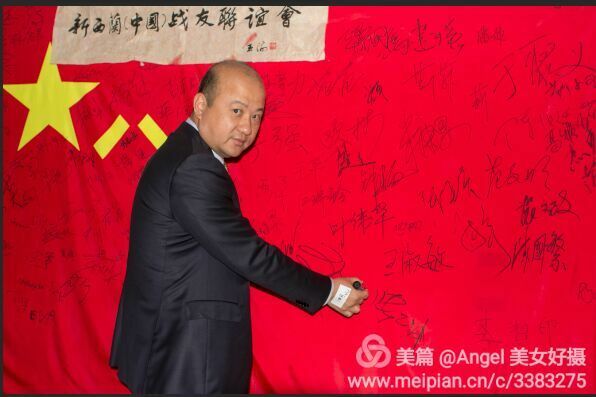 Wu was a member of a city committee of the CPPCC, and a non-voting delegate at the Fujian province CPPCC. In 2013, he helped organise a Prague visit by its chairman. According to a former business partner, Wu was always interested in political contacts, and indeed managed to become the ‘Fujian representative’ of Olomouc region. In other words, the interests of a Czech local government were represented in China by someone with posts within the CCP’s political system. In New Zealand, Zhang Yikun has established a close relationship with Southland District mayor Gary Tong, who indeed was in China as a “guest” of Zhang at the height of the donations scandal. 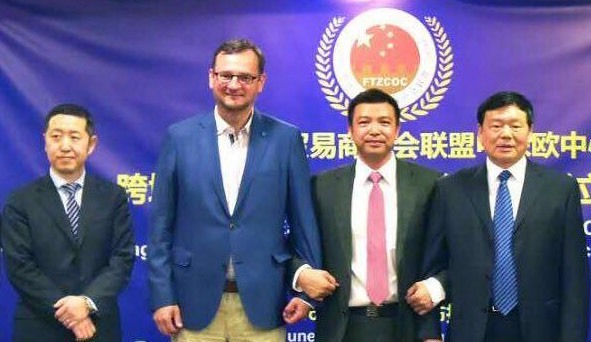 Although Wu’s political influence bears no comparison to Zhang’s, he did try to fly higher than Olomouc: he managed, at least, to be photographed next to former PM Petr Nečas. James Wu gets his picture taken with former PM Petr Nečas. 2016. Despite the degree of attention, politicians from the major parties keep ignoring the issue. Given Zhang Yikun’s cultivation of links with both major parties, it’s hardly surprising that PM Jacinda Ardern continues to defend the country’s “transparency”. Four fifths of the donations to Ardern’s party between 2011 and 2017 were anonymous (a similar figure applies to National, which has maintained a similar proportion in the last year; Labour has admittedly improved). The CCP’s long-term efforts to make New Zealand’s high politics serve its foreign-policy goals have successfully neutralised the country’s famed transparency. As a forthcoming ILD piece will continue to argue, tools Lenin and Stalin conceived with disruption in mind have been optimised to repurpose, rather than destroy, democratic political systems.